In addition to our rigorous curricular offerings, the University of Rochester boasts one of the most prestigious reading series in the country, the Plutzik Reading Series. 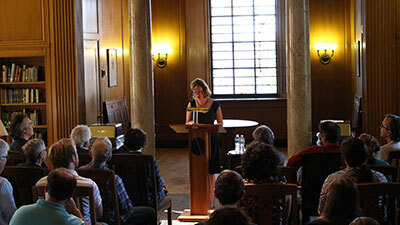 The University also hosts the Reading the World Conversation Series and the annual Janet Heidinger Kafka reading. Other upcoming literary arts events on campus will be listed on this page.